© 2013 Neil Clavin. All rights reserved. I for Interface is a project which explores how the design of urban interfaces can improve the experience of city life for citizens and visitors. The project was commissioned by the Canadian Centre for Architecture (CCA) as a series of workshops and an exhibit of short films. 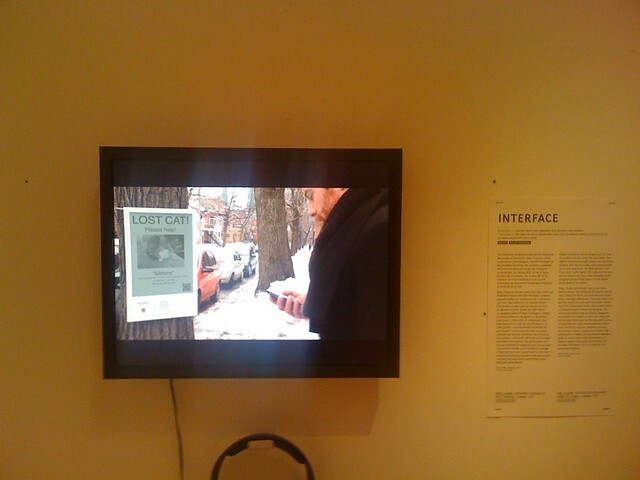 I for Interface was presented as part of ABC : MTL A Self-Portrait of Montréal. 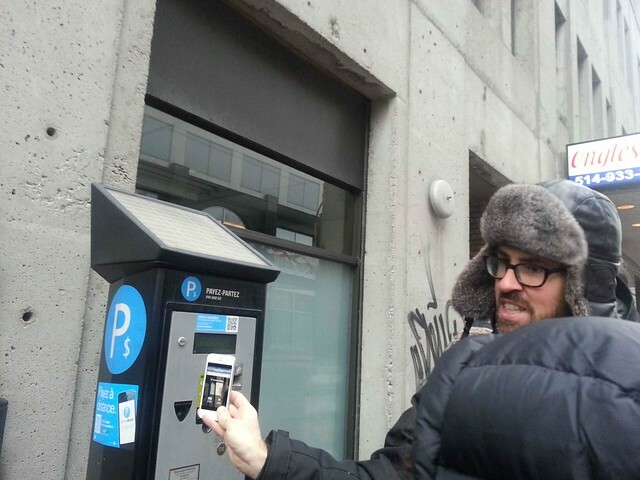 Montreal bristles with public interfaces. Cameras, smartphones and sensors collect information. Antennae, wifi networks and cables distribute data . 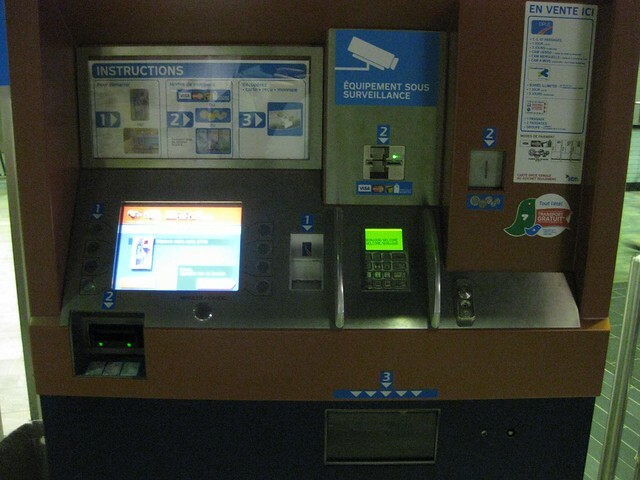 Digital displays show advertising, information and guidance. 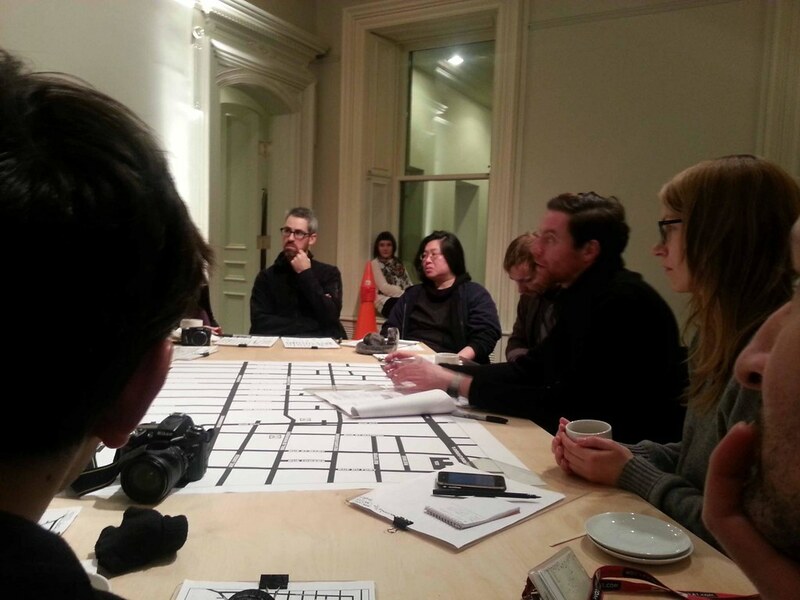 The CCA sees architecture as a public concern. It builds public awareness of the role of architecture in society, promotes scholarly research in the field and stimulates innovation in design practice. I for Interface raises awareness of how public interfaces shape the experience of the contemporary city. 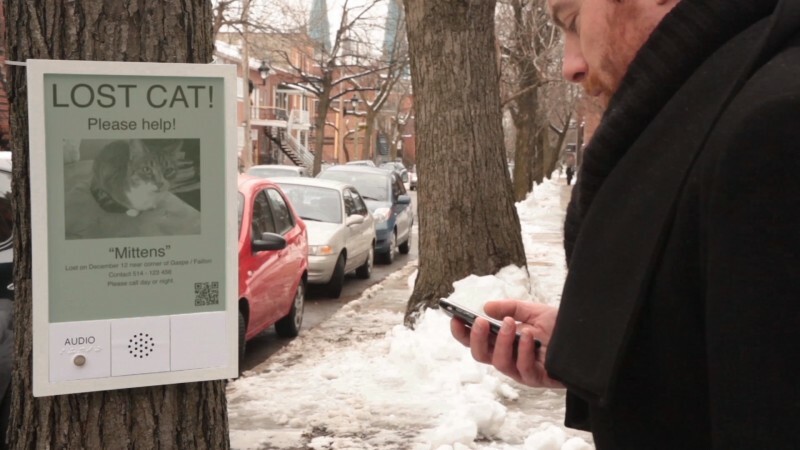 It identifies opportunities for new interface experiences in Montreal. It explores how original design of public interfaces can improve the experience of daily life in Montreal for its citizens and visitors. 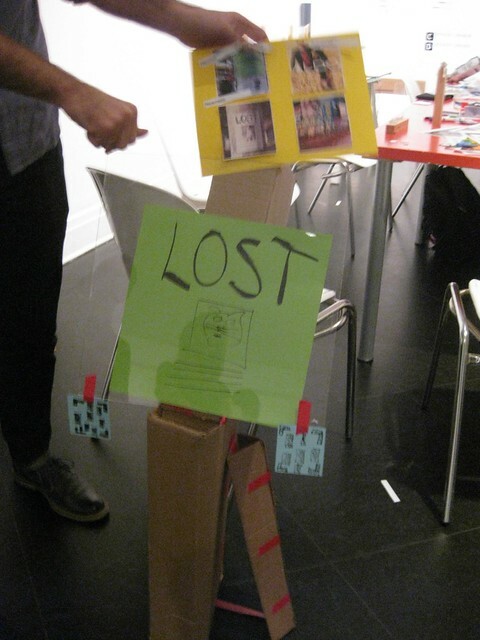 The project aims to make the design, deployment and use of public interfaces a public concern via 3 phases: a guided tour, a co-design workshop and video sketches. 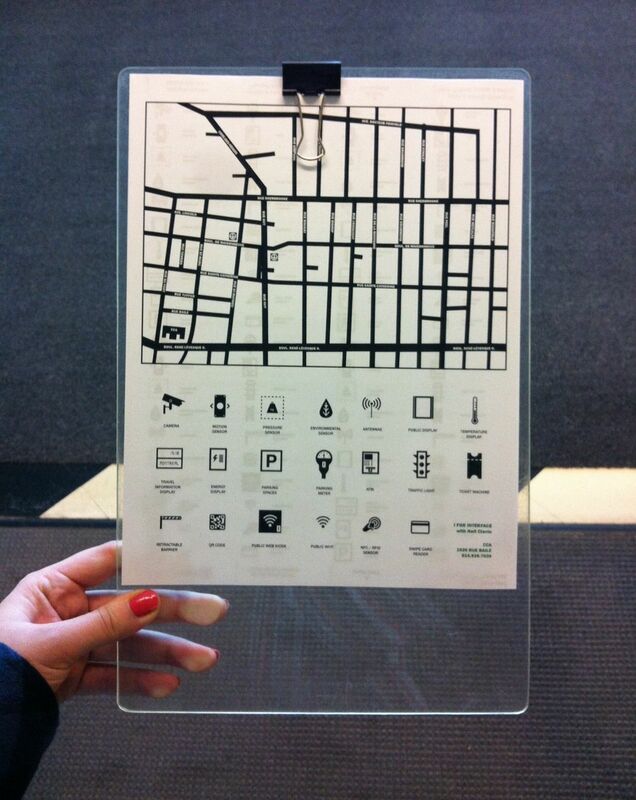 Participants received maps of the area and stickers to indicate interfaces they observed. 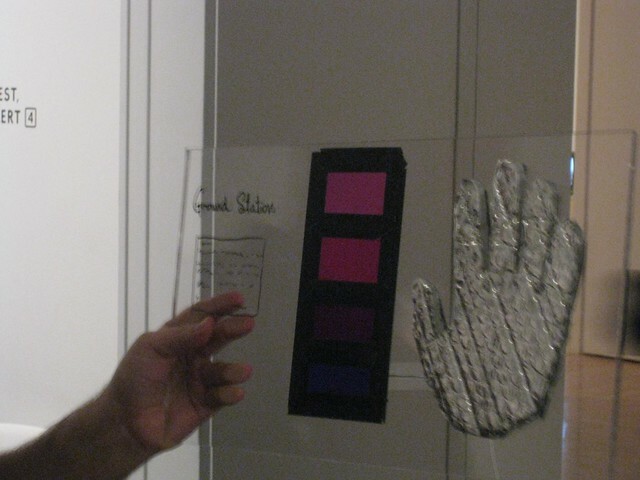 Participants were also encouraged to photograph interfaces. Then we discussed what we had observed, our experience of urban interfaces and how these can be improved to better the experience of the city. Accessibility: In what ways can city interfaces be more accessible to citizens with visual, auditory or mobile impairments? Common interface components: In what ways can we design a common interaction design language of keypads, signage, layouts? 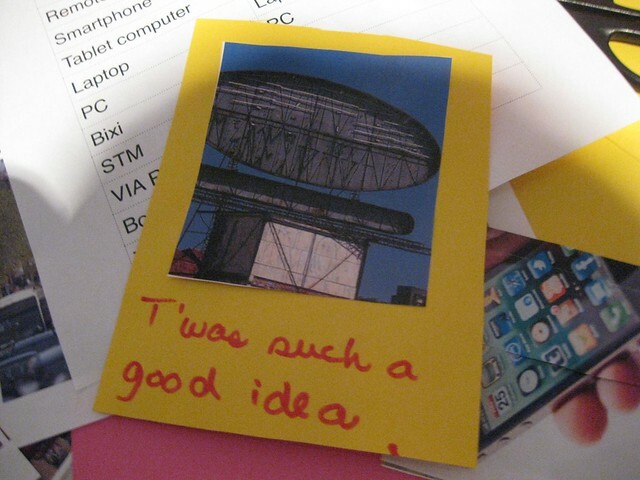 Smartphones as remote control: In what ways can mobile devices help save us time / make tasks easier when in the city? Encourage social encounters in city: In what ways can we facilitate impromptu social encounters in the city like conversations, meetings, fun? Interfaces that learn about you: In what ways can interfaces be improved to save us time from repetitive entry of our personal details / preferences / codes? And make our experience seem more ‘human’ – less machine like? Calm computing: In what ways can city interfaces be more polite, less demanding, calmer? Public information vs advertising: In what ways can we reclaim space for public information rather than advertising? What will happen to advertising? Meaningful public information: In what ways can we communicate public information so it is more meaningful, more actionable to citizens? Form follows meaning: In what ways can the form of urban interfaces better communicate information / function to us. 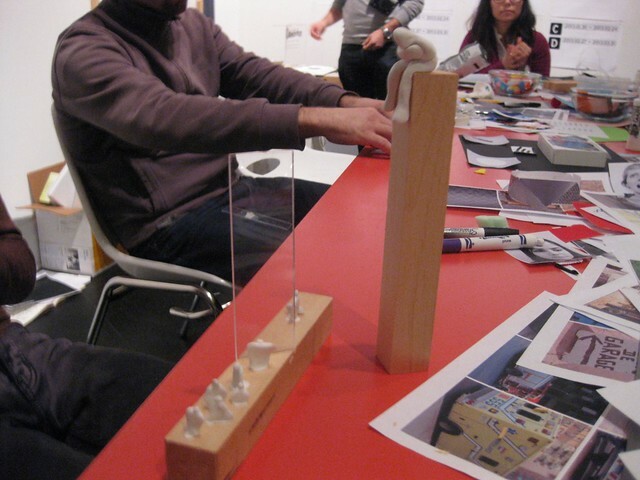 In what ways can the form make the experience of the city more unique, memorable, playful? Reminder of the importance of maintenance throughout the life cycle of technology based solutions. Scanner for lost pets. Many pets are now chipped with RFID. The self-standing public scanner is a place to conveniently scan stray pets. 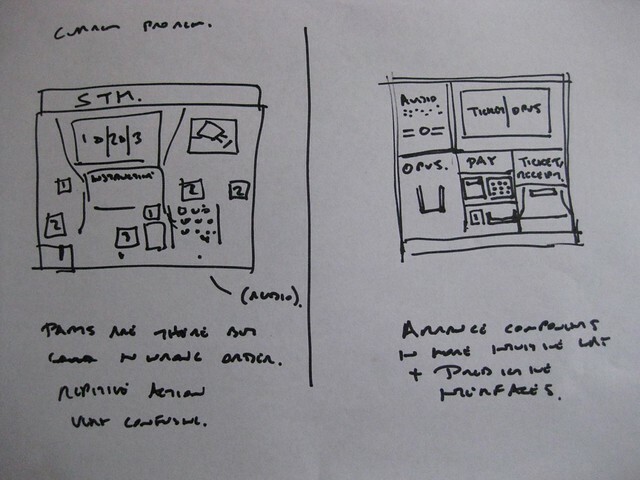 Following the tour and co-design session, three of the most interesting concepts / themes were selected, refined and evidenced as ‘imagined futures’ in the form of three short ‘video sketches’. 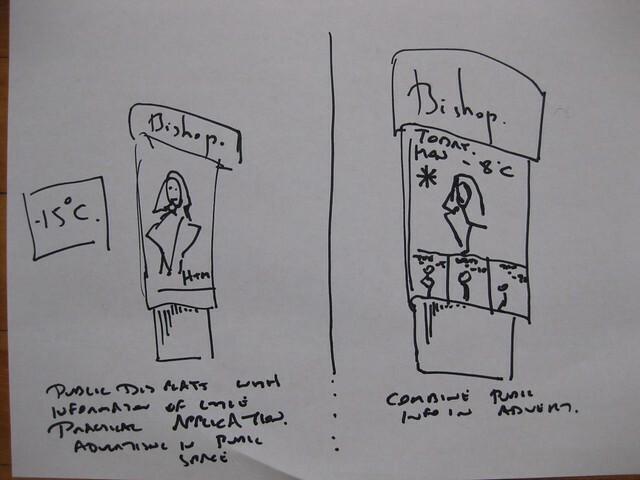 Post: a concept for low cost, non intrusive neighbourhood noticeboards for hyperlocal community advertising. 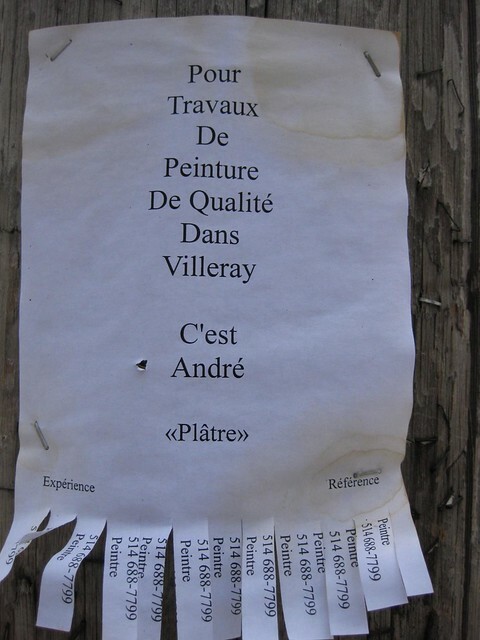 The concept addresses the fact that while large companies can advertise in public space local citizens cannot.In fact in Montreal flyposting adverts on trees and lamposts seems to be illegal. 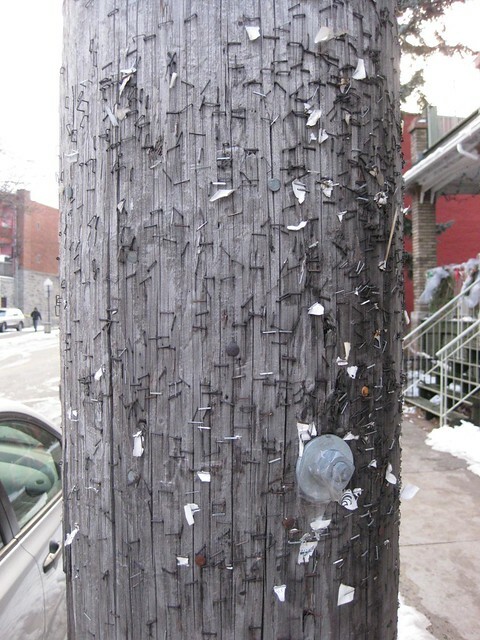 Teams of city workers can be seen removing adverts from lamp posts resulting in a patina of staples or tape on posts around the city. The concept aims to legitimise a real user need for citizens in residential areas. Think of it as a physical version of Craig’s List or Kijiji. Ticket: a concept to re-order and optimise the interface of the current STM (public transport) ticket machine and integrate accessibility functions & personalisation. necessary functions including audio cues for visually impaired. The current interface is so confusing that a numbered guide has been added to the machine to show the user what sequence to operate it in. Although a well meaning gesture it does little to make the interaction more legible for the first-time user. Infovert: a concept to make public displays with useful information more meaningful to the user. Interfaces displaying temperature in the city are useful but the real information a user needs is: ‘What should I wear in order to be comfortable in this weather?’. 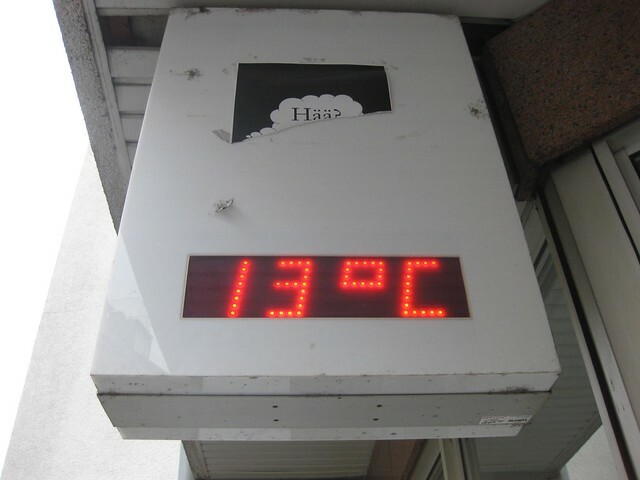 Infovert displays actual and ‘feels like temperature’ with a user submitted image of a Montrealer wearing the appropriate clothes. A database would cross-reference location date and temperature at the time a photo taken to be re-displayed for similar weather conditions. 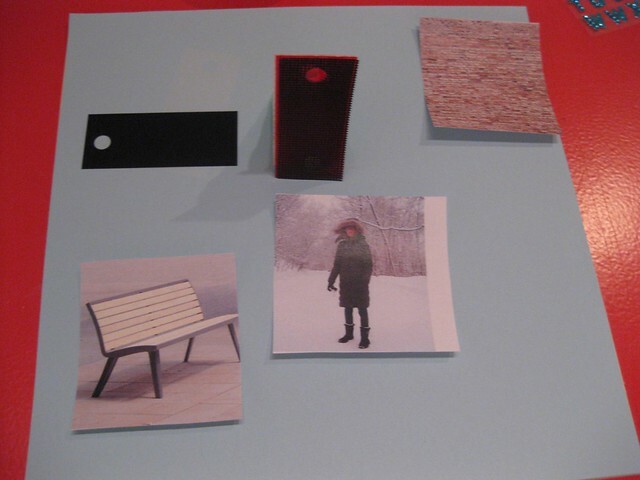 After review with the CCA these storyboards formed a script for the creation of any 3D props required, the design of visual or audio interfaces and principal photography on location in Montreal. In post production video and any interfaces were combined. 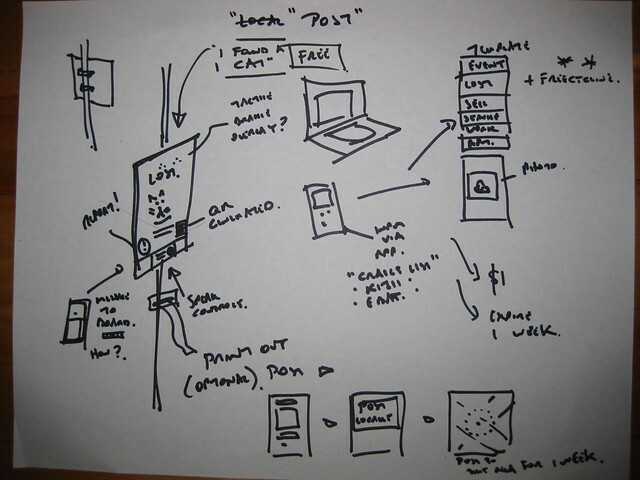 ‘Wireframe’ model of Post physical interface. 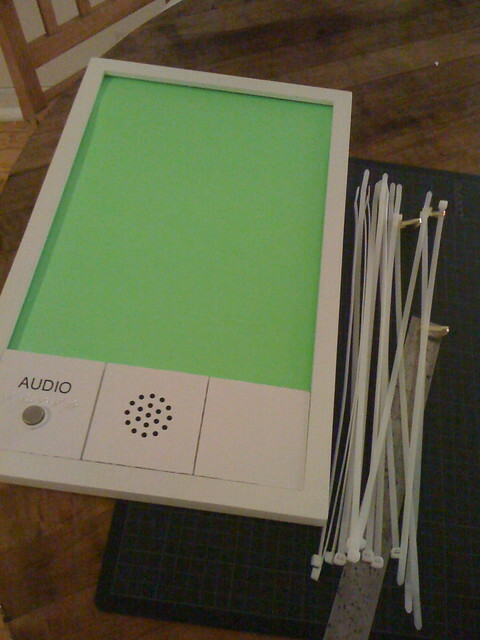 Includes ‘Audio’ panel and braille for visually impaired users. ‘Wireframe’ model of Ticket physical interface. The interactive components have been re-ordered to align with the user flow of audio followed by on screen instructions, presentation of Opus travelcard, payment and printing of tickets. 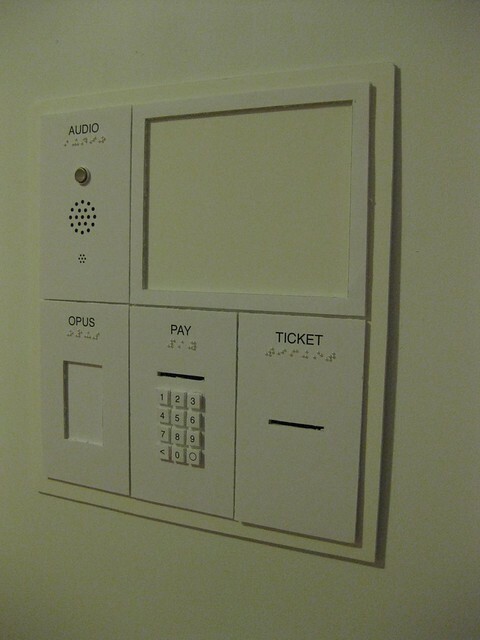 Includes ‘Audio’ panel and braille for visually impaired users. The final three films were exhibited at the Canadian Centre for Architecture from January-February 2013. The intention of the films is to communicate concepts for discussion amongst visitors and the city of Montreal. It is hoped these videos will inspire the city of Montreal to discuss and innovate new urban interfaces solutions. 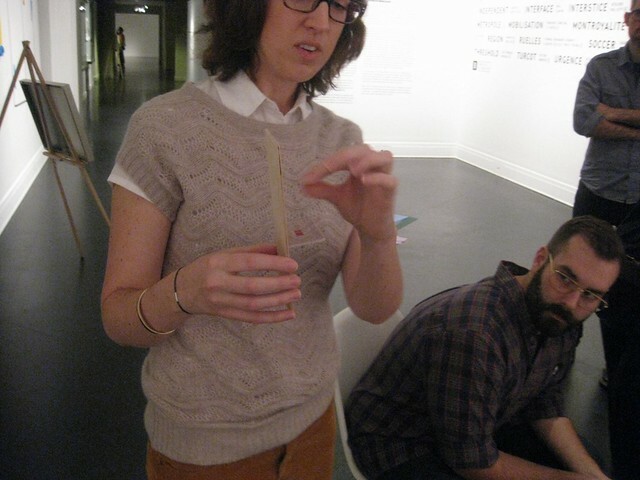 Nicole Lattuca at the CCA for commissioning the work and providing feedback throughout the project. 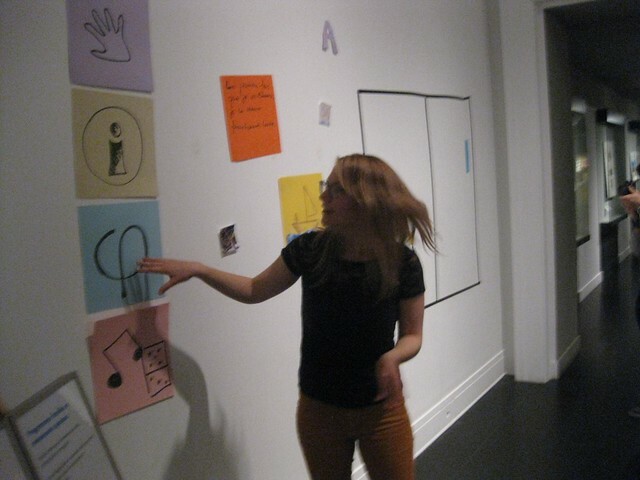 Jessica Charbonneau CCA/TagTeam Studio for designing the walkshop maps and stickers for the tour. Lama Sefir, Jean-Maxime Dufresne and Claudia Mannigel for assistance in facilitating and organising the tour and workshop. Mat Barbeau videographer for films. 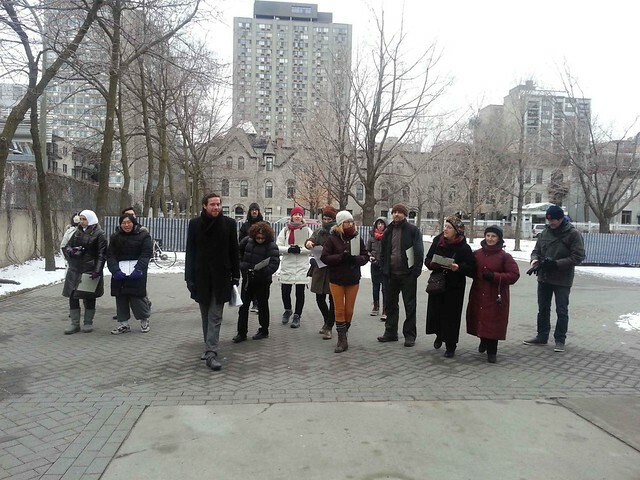 All the members of the public who braved the harsh Montreal winter temperatures to join the walkshop and co-design sessons!